EPA 31 MPG Hwy/27 MPG City! Lane Keeping Assist, Back-Up Camera, iPod/MP3 Input, Bluetooth, Brake Actuated Limited Slip Differential, Dual Zone A/C. SILVER KNOCKOUT METALLIC exterior and BLACK interior, LE trim. CLICK ME! KEY FEATURES INCLUDE Back-Up Camera, iPod/MP3 Input, Bluetooth, Dual Zone A/C, Brake Actuated Limited Slip Differential, Lane Keeping Assist. Rear Spoiler, MP3 Player, Keyless Entry, Steering Wheel Controls, Child Safety Locks. Toyota LE with SILVER KNOCKOUT METALLIC exterior and BLACK interior features a 4 Cylinder Engine with 144 HP at 6100 RPM*. EXPERTS RAVE Great Gas Mileage: 31 MPG Hwy. 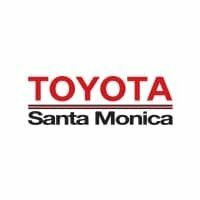 WHO WE ARE Toyota Santa Monica is just waiting to assist you in any & all of your Toyota needs. Our vehicle model floor is stocked only with the hottest new Toyotas, all available to you for incredibly affordable prices you'll love. We are proud to possess great options for every individual driver and his or her own unique lifestyle. We've got what you're looking for. Horsepower calculations based on trim engine configuration. Fuel economy calculations based on original manufacturer data for trim engine configuration. Please confirm the accuracy of the included equipment by calling us prior to purchase. LE trim, BLIZZARD PEARL exterior and BLACK interior. Brake Actuated Limited Slip Differential, Lane Keeping Assist, REMOVABLE CROSS BARS, Back-Up Camera, iPod/MP3 Input, Dual Zone A/C. FUEL EFFICIENT 31 MPG Hwy/27 MPG City! SEE MORE! KEY FEATURES INCLUDE Back-Up Camera, iPod/MP3 Input, Bluetooth, Dual Zone A/C, Lane Keeping Assist, Brake Actuated Limited Slip Differential Rear Spoiler, MP3 Player, Keyless Entry, Child Safety Locks, Steering Wheel Controls. OPTION PACKAGES REMOVABLE CROSS BARS. Toyota LE with BLIZZARD PEARL exterior and BLACK interior features a 4 Cylinder Engine with 144 HP at 6100 RPM*. EXPERTS REPORT Great Gas Mileage: 31 MPG Hwy. WHY BUY FROM US Toyota Santa Monica is just waiting to assist you in any & all of your Toyota needs. Our vehicle model floor is stocked only with the hottest new Toyotas, all available to you for incredibly affordable prices you'll love. We are proud to possess great options for every individual driver and his or her own unique lifestyle. We've got what you're looking for. Horsepower calculations based on trim engine configuration. Fuel economy calculations based on original manufacturer data for trim engine configuration. Please confirm the accuracy of the included equipment by calling us prior to purchase. FUEL EFFICIENT 31 MPG Hwy/27 MPG City! XLE trim, BLACK SAND PEARL exterior and GRAY interior. Brake Actuated Limited Slip Differential, Blind Spot Monitor, Cross-Traffic Alert, Lane Keeping Assist, Aluminum Wheels, Back-Up Camera AND MORE! KEY FEATURES INCLUDE Back-Up Camera, iPod/MP3 Input, Bluetooth, Aluminum Wheels, Keyless Start, Dual Zone A/C, Blind Spot Monitor, Brake Actuated Limited Slip Differential, Lane Keeping Assist, Cross-Traffic Alert Rear Spoiler, MP3 Player, Keyless Entry, Steering Wheel Controls, Child Safety Locks. OPTION PACKAGES REMOVABLE CROSS BARS, XLE PACKAGE (GRAY) Fabric A(Dynamic) Seat Material. Toyota XLE with BLACK SAND PEARL exterior and GRAY interior features a 4 Cylinder Engine with 144 HP at 6100 RPM*. VEHICLE REVIEWS Great Gas Mileage: 31 MPG Hwy. BUY FROM AN AWARD WINNING DEALER Toyota Santa Monica is just waiting to assist you in any & all of your Toyota needs. Our vehicle model floor is stocked only with the hottest new Toyotas, all available to you for incredibly affordable prices you'll love. We are proud to possess great options for every individual driver and his or her own unique lifestyle. We've got what you're looking for. Horsepower calculations based on trim engine configuration. Fuel economy calculations based on original manufacturer data for trim engine configuration. Please confirm the accuracy of the included equipment by calling us prior to purchase. FUEL EFFICIENT 28 MPG Hwy/22 MPG City! All Wheel Drive, Back-Up Camera, iPod/MP3 Input, CD Player, Bluetooth. SILVER SKY METALLIC exterior and BLACK interior, LE trim. Warranty 5 yrs/60k Miles - Drivetrain Warranty; CLICK NOW! KEY FEATURES INCLUDE All Wheel Drive, Back-Up Camera, iPod/MP3 Input, Bluetooth, CD Player Rear Spoiler, MP3 Player, Keyless Entry, Privacy Glass, Child Safety Locks. Toyota LE with SILVER SKY METALLIC exterior and BLACK interior features a 4 Cylinder Engine with 176 HP at 6000 RPM*. EXPERTS ARE SAYING KBB.com's review says Its 4-cylinder engine delivers decent power with good fuel economy, and it has enough ground clearance to tackle most snow and light off-road situations.. Great Gas Mileage: 28 MPG Hwy. BUY WITH CONFIDENCE . Tire & Wheel Protection. One Year or 12,000 Miles. WHO WE ARE Toyota Santa Monica is just waiting to assist you in any & all of your Toyota needs. Our vehicle model floor is stocked only with the hottest new Toyotas, all available to you for incredibly affordable prices you'll love. We are proud to possess great options for every individual driver and his or her own unique lifestyle. We've got what you're looking for. Horsepower calculations based on trim engine configuration. Fuel economy calculations based on original manufacturer data for trim engine configuration. Please confirm the accuracy of the included equipment by calling us prior to purchase. SUPER WHITE exterior and BLACK interior, LE trim. Brake Actuated Limited Slip Differential, WiFi Hotspot, iPod/MP3 Input, ALL WEATHER LINER PACKAGE, Back-Up Camera, Lane Keeping Assist. FUEL EFFICIENT 35 MPG Hwy/26 MPG City! CLICK ME! KEY FEATURES INCLUDE Back-Up Camera, iPod/MP3 Input, Onboard Communications System, Smart Device Integration, Lane Keeping Assist, Brake Actuated Limited Slip Differential, WiFi Hotspot. Rear Spoiler, MP3 Player, Keyless Entry, Privacy Glass, Child Safety Locks. OPTION PACKAGES ALL WEATHER LINER PACKAGE Cargo Liner, All Weather Floor Liners. Toyota LE with SUPER WHITE exterior and BLACK interior features a 4 Cylinder Engine with 203 HP at 6600 RPM*. VEHICLE REVIEWS Great Gas Mileage: 35 MPG Hwy. BUY FROM AN AWARD WINNING DEALER Toyota Santa Monica is just waiting to assist you in any & all of your Toyota needs. Our vehicle model floor is stocked only with the hottest new Toyotas, all available to you for incredibly affordable prices you'll love. We are proud to possess great options for every individual driver and his or her own unique lifestyle. We've got what you're looking for. Horsepower calculations based on trim engine configuration. Fuel economy calculations based on original manufacturer data for trim engine configuration. Please confirm the accuracy of the included equipment by calling us prior to purchase. LE trim, SUPER WHITE exterior and BLACK interior. EPA 35 MPG Hwy/26 MPG City! WiFi Hotspot, Brake Actuated Limited Slip Differential, Smart Device Integration, Back-Up Camera, ALL WEATHER LINER PACKAGE (DISCONTINU... iPod/MP3 Input CLICK ME! KEY FEATURES INCLUDE Back-Up Camera, iPod/MP3 Input, Onboard Communications System, Lane Keeping Assist, Smart Device Integration, WiFi Hotspot, Brake Actuated Limited Slip Differential. Rear Spoiler, MP3 Player, Keyless Entry, Privacy Glass, Child Safety Locks. OPTION PACKAGES ROOF RACK CROSS BARS, ALL WEATHER LINER PACKAGE (DISCONTINUED) Cargo Liner, All Weather Floor Liners. Toyota LE with SUPER WHITE exterior and BLACK interior features a 4 Cylinder Engine with 203 HP at 6600 RPM*. EXPERTS ARE SAYING Edmunds.com explains The RAV4 has one of the most spacious cabins in the segment — drivers and adult passengers should have plenty of room.. Great Gas Mileage: 35 MPG Hwy. VISIT US TODAY Toyota Santa Monica is just waiting to assist you in any & all of your Toyota needs. Our vehicle model floor is stocked only with the hottest new Toyotas, all available to you for incredibly affordable prices you'll love. We are proud to possess great options for every individual driver and his or her own unique lifestyle. We've got what you're looking for. Horsepower calculations based on trim engine configuration. Fuel economy calculations based on original manufacturer data for trim engine configuration. Please confirm the accuracy of the included equipment by calling us prior to purchase. LE trim, MIDNIGHT BLACK METALLIC exterior and BLACK interior. EPA 35 MPG Hwy/26 MPG City! WiFi Hotspot, Brake Actuated Limited Slip Differential, Smart Device Integration, Back-Up Camera, ALL WEATHER LINER PACKAGE (DISCONTINU... READ MORE! KEY FEATURES INCLUDE Back-Up Camera, iPod/MP3 Input, Onboard Communications System, Lane Keeping Assist, Smart Device Integration, WiFi Hotspot, Brake Actuated Limited Slip Differential. Rear Spoiler, MP3 Player, Keyless Entry, Privacy Glass, Child Safety Locks. OPTION PACKAGES ROOF RACK CROSS BARS, ALL WEATHER LINER PACKAGE (DISCONTINUED) Cargo Liner, All Weather Floor Liners. Toyota LE with MIDNIGHT BLACK METALLIC exterior and BLACK interior features a 4 Cylinder Engine with 203 HP at 6600 RPM*. EXPERTS RAVE Edmunds.com explains The RAV4 has one of the most spacious cabins in the segment — drivers and adult passengers should have plenty of room.. Great Gas Mileage: 35 MPG Hwy. WHO WE ARE Toyota Santa Monica is just waiting to assist you in any & all of your Toyota needs. Our vehicle model floor is stocked only with the hottest new Toyotas, all available to you for incredibly affordable prices you'll love. We are proud to possess great options for every individual driver and his or her own unique lifestyle. We've got what you're looking for. Horsepower calculations based on trim engine configuration. Fuel economy calculations based on original manufacturer data for trim engine configuration. Please confirm the accuracy of the included equipment by calling us prior to purchase. WiFi Hotspot, Brake Actuated Limited Slip Differential, Smart Device Integration, Back-Up Camera, ALL WEATHER LINER PACKAGE (DISCONTINU... LE trim, SUPER WHITE exterior and BLACK interior. FUEL EFFICIENT 35 MPG Hwy/26 MPG City! SEE MORE! KEY FEATURES INCLUDE Back-Up Camera, iPod/MP3 Input, Onboard Communications System, Lane Keeping Assist, Smart Device Integration, WiFi Hotspot, Brake Actuated Limited Slip Differential. Rear Spoiler, MP3 Player, Keyless Entry, Privacy Glass, Child Safety Locks. OPTION PACKAGES ROOF RACK CROSS BARS, ALL WEATHER LINER PACKAGE (DISCONTINUED) Cargo Liner, All Weather Floor Liners. Toyota LE with SUPER WHITE exterior and BLACK interior features a 4 Cylinder Engine with 203 HP at 6600 RPM*. EXPERTS RAVE Edmunds.com explains The RAV4 has one of the most spacious cabins in the segment — drivers and adult passengers should have plenty of room.. Great Gas Mileage: 35 MPG Hwy. WHY BUY FROM US Toyota Santa Monica is just waiting to assist you in any & all of your Toyota needs. Our vehicle model floor is stocked only with the hottest new Toyotas, all available to you for incredibly affordable prices you'll love. We are proud to possess great options for every individual driver and his or her own unique lifestyle. We've got what you're looking for. Horsepower calculations based on trim engine configuration. Fuel economy calculations based on original manufacturer data for trim engine configuration. Please confirm the accuracy of the included equipment by calling us prior to purchase. LE trim, SUPER WHITE exterior and BLACK interior. FUEL EFFICIENT 35 MPG Hwy/26 MPG City! Smart Device Integration, WiFi Hotspot, Brake Actuated Limited Slip Differential, ROOF RACK CROSS BARS, Back-Up Camera, Lane Keeping Assist CLICK NOW! KEY FEATURES INCLUDE Back-Up Camera, iPod/MP3 Input, Onboard Communications System, Lane Keeping Assist, Smart Device Integration, WiFi Hotspot, Brake Actuated Limited Slip Differential Rear Spoiler, MP3 Player, Keyless Entry, Privacy Glass, Child Safety Locks. OPTION PACKAGES ROOF RACK CROSS BARS, ALL WEATHER LINER PACKAGE (DISCONTINUED) Cargo Liner, All Weather Floor Liners. Toyota LE with SUPER WHITE exterior and BLACK interior features a 4 Cylinder Engine with 203 HP at 6600 RPM*. EXPERTS RAVE The RAV4 has one of the most spacious cabins in the segment — drivers and adult passengers should have plenty of room. -Edmunds.com. Great Gas Mileage: 35 MPG Hwy. BUY FROM AN AWARD WINNING DEALER Toyota Santa Monica is just waiting to assist you in any & all of your Toyota needs. Our vehicle model floor is stocked only with the hottest new Toyotas, all available to you for incredibly affordable prices you'll love. We are proud to possess great options for every individual driver and his or her own unique lifestyle. We've got what you're looking for. Horsepower calculations based on trim engine configuration. Fuel economy calculations based on original manufacturer data for trim engine configuration. Please confirm the accuracy of the included equipment by calling us prior to purchase. WiFi Hotspot, Brake Actuated Limited Slip Differential, Smart Device Integration, Back-Up Camera, ALL WEATHER LINER PACKAGE (DISCONTINU... LE trim, MIDNIGHT BLACK METALLIC exterior and BLACK interior. EPA 35 MPG Hwy/26 MPG City! CLICK ME! KEY FEATURES INCLUDE Back-Up Camera, iPod/MP3 Input, Onboard Communications System, Lane Keeping Assist, Smart Device Integration, WiFi Hotspot, Brake Actuated Limited Slip Differential. Rear Spoiler, MP3 Player, Keyless Entry, Privacy Glass, Child Safety Locks. OPTION PACKAGES ROOF RACK CROSS BARS, ALL WEATHER LINER PACKAGE (DISCONTINUED) Cargo Liner, All Weather Floor Liners. Toyota LE with MIDNIGHT BLACK METALLIC exterior and BLACK interior features a 4 Cylinder Engine with 203 HP at 6600 RPM*. EXPERTS REPORT Edmunds.com's review says The RAV4 has one of the most spacious cabins in the segment — drivers and adult passengers should have plenty of room.. Great Gas Mileage: 35 MPG Hwy. OUR OFFERINGS Toyota Santa Monica is just waiting to assist you in any & all of your Toyota needs. Our vehicle model floor is stocked only with the hottest new Toyotas, all available to you for incredibly affordable prices you'll love. We are proud to possess great options for every individual driver and his or her own unique lifestyle. We've got what you're looking for. Horsepower calculations based on trim engine configuration. Fuel economy calculations based on original manufacturer data for trim engine configuration. Please confirm the accuracy of the included equipment by calling us prior to purchase. LE trim, SUPER WHITE exterior and BLACK interior. Brake Actuated Limited Slip Differential, WiFi Hotspot, iPod/MP3 Input, ROOF RACK CROSS BARS, Back-Up Camera, Smart Device Integration. EPA 35 MPG Hwy/26 MPG City! READ MORE! KEY FEATURES INCLUDE Back-Up Camera, iPod/MP3 Input, Onboard Communications System, Lane Keeping Assist, Smart Device Integration, Brake Actuated Limited Slip Differential, WiFi Hotspot. Rear Spoiler, MP3 Player, Privacy Glass, Keyless Entry, Steering Wheel Controls. OPTION PACKAGES ROOF RACK CROSS BARS. Toyota LE with SUPER WHITE exterior and BLACK interior features a 4 Cylinder Engine with 203 HP at 6600 RPM*. EXPERTS ARE SAYING Edmunds.com's review says The RAV4 has one of the most spacious cabins in the segment — drivers and adult passengers should have plenty of room.. Great Gas Mileage: 35 MPG Hwy. WHY BUY FROM US Toyota Santa Monica is just waiting to assist you in any & all of your Toyota needs. Our vehicle model floor is stocked only with the hottest new Toyotas, all available to you for incredibly affordable prices you'll love. We are proud to possess great options for every individual driver and his or her own unique lifestyle. We've got what you're looking for. Horsepower calculations based on trim engine configuration. Fuel economy calculations based on original manufacturer data for trim engine configuration. Please confirm the accuracy of the included equipment by calling us prior to purchase. BLUE FLAME exterior and BLACK interior, LE trim. WiFi Hotspot, Brake Actuated Limited Slip Differential, Smart Device Integration, Back-Up Camera, ALL WEATHER LINER PACKAGE (DISCONTINU... iPod/MP3 Input. EPA 35 MPG Hwy/26 MPG City! AND MORE! KEY FEATURES INCLUDE Back-Up Camera, iPod/MP3 Input, Onboard Communications System, Lane Keeping Assist, Smart Device Integration, WiFi Hotspot, Brake Actuated Limited Slip Differential. Rear Spoiler, MP3 Player, Keyless Entry, Privacy Glass, Child Safety Locks. OPTION PACKAGES ROOF RACK CROSS BARS, ALL WEATHER LINER PACKAGE (DISCONTINUED) Cargo Liner, All Weather Floor Liners. Toyota LE with BLUE FLAME exterior and BLACK interior features a 4 Cylinder Engine with 203 HP at 6600 RPM*. VEHICLE REVIEWS Edmunds.com's review says The RAV4 has one of the most spacious cabins in the segment — drivers and adult passengers should have plenty of room.. Great Gas Mileage: 35 MPG Hwy. BUY FROM AN AWARD WINNING DEALER Toyota Santa Monica is just waiting to assist you in any & all of your Toyota needs. Our vehicle model floor is stocked only with the hottest new Toyotas, all available to you for incredibly affordable prices you'll love. We are proud to possess great options for every individual driver and his or her own unique lifestyle. We've got what you're looking for. Horsepower calculations based on trim engine configuration. Fuel economy calculations based on original manufacturer data for trim engine configuration. Please confirm the accuracy of the included equipment by calling us prior to purchase. SILVER SKY METALLIC exterior and BLACK interior, LE trim. FUEL EFFICIENT 35 MPG Hwy/26 MPG City! WiFi Hotspot, Brake Actuated Limited Slip Differential, Smart Device Integration, Back-Up Camera, ROOF RACK CROSS BARS, iPod/MP3 Input SEE MORE! KEY FEATURES INCLUDE Back-Up Camera, iPod/MP3 Input, Onboard Communications System, Lane Keeping Assist, Smart Device Integration, WiFi Hotspot, Brake Actuated Limited Slip Differential Rear Spoiler, MP3 Player, Keyless Entry, Privacy Glass, Child Safety Locks. OPTION PACKAGES ROOF RACK CROSS BARS, ALL WEATHER LINER PACKAGE (DISCONTINUED) Cargo Liner, All Weather Floor Liners. Toyota LE with SILVER SKY METALLIC exterior and BLACK interior features a 4 Cylinder Engine with 203 HP at 6600 RPM*. EXPERTS RAVE Edmunds.com explains The RAV4 has one of the most spacious cabins in the segment — drivers and adult passengers should have plenty of room.. Great Gas Mileage: 35 MPG Hwy. WHO WE ARE Toyota Santa Monica is just waiting to assist you in any & all of your Toyota needs. Our vehicle model floor is stocked only with the hottest new Toyotas, all available to you for incredibly affordable prices you'll love. We are proud to possess great options for every individual driver and his or her own unique lifestyle. We've got what you're looking for. Horsepower calculations based on trim engine configuration. Fuel economy calculations based on original manufacturer data for trim engine configuration. Please confirm the accuracy of the included equipment by calling us prior to purchase. LE trim, MIDNIGHT BLACK METALLIC exterior and BLACK interior. FUEL EFFICIENT 35 MPG Hwy/26 MPG City! Brake Actuated Limited Slip Differential, WiFi Hotspot, iPod/MP3 Input, ROOF RACK CROSS BARS, Back-Up Camera, Lane Keeping Assist AND MORE! KEY FEATURES INCLUDE Back-Up Camera, iPod/MP3 Input, Onboard Communications System, Lane Keeping Assist, Smart Device Integration, Brake Actuated Limited Slip Differential, WiFi Hotspot Rear Spoiler, MP3 Player, Privacy Glass, Keyless Entry, Steering Wheel Controls. OPTION PACKAGES ROOF RACK CROSS BARS. Toyota LE with MIDNIGHT BLACK METALLIC exterior and BLACK interior features a 4 Cylinder Engine with 203 HP at 6600 RPM*. VEHICLE REVIEWS The RAV4 has one of the most spacious cabins in the segment — drivers and adult passengers should have plenty of room. -Edmunds.com. Great Gas Mileage: 35 MPG Hwy. WHO WE ARE Toyota Santa Monica is just waiting to assist you in any & all of your Toyota needs. Our vehicle model floor is stocked only with the hottest new Toyotas, all available to you for incredibly affordable prices you'll love. We are proud to possess great options for every individual driver and his or her own unique lifestyle. We've got what you're looking for. Horsepower calculations based on trim engine configuration. Fuel economy calculations based on original manufacturer data for trim engine configuration. Please confirm the accuracy of the included equipment by calling us prior to purchase. RUBY FLARE PEARL exterior and BLACK interior, LE trim. WiFi Hotspot, Brake Actuated Limited Slip Differential, Smart Device Integration, Back-Up Camera, ALL WEATHER LINER PACKAGE (DISCONTINU... FUEL EFFICIENT 35 MPG Hwy/26 MPG City! READ MORE! KEY FEATURES INCLUDE Back-Up Camera, iPod/MP3 Input, Onboard Communications System, Lane Keeping Assist, Smart Device Integration, WiFi Hotspot, Brake Actuated Limited Slip Differential. Rear Spoiler, MP3 Player, Keyless Entry, Privacy Glass, Child Safety Locks. OPTION PACKAGES ROOF RACK CROSS BARS, ALL WEATHER LINER PACKAGE (DISCONTINUED) Cargo Liner, All Weather Floor Liners. Toyota LE with RUBY FLARE PEARL exterior and BLACK interior features a 4 Cylinder Engine with 203 HP at 6600 RPM*. VEHICLE REVIEWS The RAV4 has one of the most spacious cabins in the segment — drivers and adult passengers should have plenty of room. -Edmunds.com. Great Gas Mileage: 35 MPG Hwy. WHO WE ARE Toyota Santa Monica is just waiting to assist you in any & all of your Toyota needs. Our vehicle model floor is stocked only with the hottest new Toyotas, all available to you for incredibly affordable prices you'll love. We are proud to possess great options for every individual driver and his or her own unique lifestyle. We've got what you're looking for. Horsepower calculations based on trim engine configuration. Fuel economy calculations based on original manufacturer data for trim engine configuration. Please confirm the accuracy of the included equipment by calling us prior to purchase. Heated Leather Seats, Brake Actuated Limited Slip Differential, Blind Spot Monitor, Lane Keeping Assist, Cross-Traffic Alert, Aluminum Wheels. BLACK SAND PEARL exterior and BLACK interior, Limited trim. EPA 31 MPG Hwy/27 MPG City! READ MORE! KEY FEATURES INCLUDE Leather Seats, Back-Up Camera, iPod/MP3 Input, Bluetooth, Aluminum Wheels, Keyless Start, Dual Zone A/C, Cross-Traffic Alert, Brake Actuated Limited Slip Differential, Blind Spot Monitor, Lane Keeping Assist, Heated Leather Seats. Rear Spoiler, MP3 Player, Keyless Entry, Child Safety Locks, Steering Wheel Controls. OPTION PACKAGES REMOVABLE CROSS BARS, LIMITED PACKAGE Driver+Passenger Cushion & Back Seat Heater. Toyota Limited with BLACK SAND PEARL exterior and BLACK interior features a 4 Cylinder Engine with 144 HP at 6100 RPM*. EXPERTS ARE SAYING Great Gas Mileage: 31 MPG Hwy. OUR OFFERINGS Toyota Santa Monica is just waiting to assist you in any & all of your Toyota needs. Our vehicle model floor is stocked only with the hottest new Toyotas, all available to you for incredibly affordable prices you'll love. We are proud to possess great options for every individual driver and his or her own unique lifestyle. We've got what you're looking for. Horsepower calculations based on trim engine configuration. Fuel economy calculations based on original manufacturer data for trim engine configuration. Please confirm the accuracy of the included equipment by calling us prior to purchase. Brake Actuated Limited Slip Differential, WiFi Hotspot, Smart Device Integration, Back-Up Camera, ROOF RACK CROSS BARS, iPod/MP3 Input, Lane Keeping Assist, Onboard Communications System. LE trim. EPA 35 MPG Hwy/26 MPG City! CLICK ME! KEY FEATURES INCLUDE Back-Up Camera, iPod/MP3 Input, Onboard Communications System, Lane Keeping Assist, Smart Device Integration, Brake Actuated Limited Slip Differential, WiFi Hotspot. Rear Spoiler, MP3 Player, Privacy Glass, Keyless Entry, Steering Wheel Controls. OPTION PACKAGES ROOF RACK CROSS BARS. Toyota LE with RUBY FLARE PEARL exterior and BLACK interior features a 4 Cylinder Engine with 203 HP at 6600 RPM*. EXPERTS ARE SAYING Edmunds.com explains The RAV4 has one of the most spacious cabins in the segment — drivers and adult passengers should have plenty of room.. Great Gas Mileage: 35 MPG Hwy. MORE ABOUT US Toyota Santa Monica is just waiting to assist you in any & all of your Toyota needs. Our vehicle model floor is stocked only with the hottest new Toyotas, all available to you for incredibly affordable prices you'll love. We are proud to possess great options for every individual driver and his or her own unique lifestyle. We've got what you're looking for. Horsepower calculations based on trim engine configuration. Fuel economy calculations based on original manufacturer data for trim engine configuration. Please confirm the accuracy of the included equipment by calling us prior to purchase. LE trim, SILVER SKY METALLIC exterior and BLACK interior. Brake Actuated Limited Slip Differential, Smart Device Integration, WiFi Hotspot, BLIND SPOT MONITOR W/LANE CHANGE ASSI... ROOF RACK CROSS BARS. EPA 35 MPG Hwy/26 MPG City! AND MORE! KEY FEATURES INCLUDE Back-Up Camera, iPod/MP3 Input, Onboard Communications System, WiFi Hotspot, Brake Actuated Limited Slip Differential, Smart Device Integration Rear Spoiler, MP3 Player, Privacy Glass, Keyless Entry, Steering Wheel Controls. OPTION PACKAGES BLIND SPOT MONITOR W/LANE CHANGE ASSIST Blind Spot Monitor, rear cross traffic alert and lane change assist, ROOF RACK CROSS BARS, ALL WEATHER LINER PACKAGE (DISCONTINUED) Cargo Liner, All Weather Floor Liners. Toyota LE with SILVER SKY METALLIC exterior and BLACK interior features a 4 Cylinder Engine with 203 HP at 6600 RPM*. EXPERTS RAVE The RAV4 has one of the most spacious cabins in the segment — drivers and adult passengers should have plenty of room. -Edmunds.com. Great Gas Mileage: 35 MPG Hwy. MORE ABOUT US Toyota Santa Monica is just waiting to assist you in any & all of your Toyota needs. Our vehicle model floor is stocked only with the hottest new Toyotas, all available to you for incredibly affordable prices you'll love. We are proud to possess great options for every individual driver and his or her own unique lifestyle. We've got what you're looking for. Horsepower calculations based on trim engine configuration. Fuel economy calculations based on original manufacturer data for trim engine configuration. Please confirm the accuracy of the included equipment by calling us prior to purchase. MIDNIGHT BLACK METALLIC exterior and BLACK interior, LE trim. EPA 35 MPG Hwy/26 MPG City! Brake Actuated Limited Slip Differential, Smart Device Integration, WiFi Hotspot, BLIND SPOT MONITOR W/LANE CHANGE ASSI... iPod/MP3 Input READ MORE! KEY FEATURES INCLUDE Back-Up Camera, iPod/MP3 Input, Onboard Communications System, WiFi Hotspot, Brake Actuated Limited Slip Differential, Smart Device Integration Rear Spoiler, MP3 Player, Privacy Glass, Keyless Entry, Steering Wheel Controls. OPTION PACKAGES BLIND SPOT MONITOR W/LANE CHANGE ASSIST Blind Spot Monitor, rear cross traffic alert and lane change assist, ROOF RACK CROSS BARS, ALL WEATHER LINER PACKAGE Cargo Liner, All Weather Floor Liners. Toyota LE with MIDNIGHT BLACK METALLIC exterior and BLACK interior features a 4 Cylinder Engine with 203 HP at 6600 RPM*. EXPERTS ARE SAYING Great Gas Mileage: 35 MPG Hwy. WHY BUY FROM US Toyota Santa Monica is just waiting to assist you in any & all of your Toyota needs. Our vehicle model floor is stocked only with the hottest new Toyotas, all available to you for incredibly affordable prices you'll love. We are proud to possess great options for every individual driver and his or her own unique lifestyle. We've got what you're looking for. Horsepower calculations based on trim engine configuration. Fuel economy calculations based on original manufacturer data for trim engine configuration. Please confirm the accuracy of the included equipment by calling us prior to purchase. MIDNIGHT BLACK METALLIC exterior and BLACK interior, LE trim. Brake Actuated Limited Slip Differential, Smart Device Integration, WiFi Hotspot, BLIND SPOT MONITOR W/LANE CHANGE ASSI... FUEL EFFICIENT 35 MPG Hwy/26 MPG City! CLICK NOW! KEY FEATURES INCLUDE Back-Up Camera, iPod/MP3 Input, Onboard Communications System, WiFi Hotspot, Brake Actuated Limited Slip Differential, Smart Device Integration. Rear Spoiler, MP3 Player, Privacy Glass, Keyless Entry, Steering Wheel Controls. OPTION PACKAGES BLIND SPOT MONITOR W/LANE CHANGE ASSIST Blind Spot Monitor, rear cross traffic alert and lane change assist, ROOF RACK CROSS BARS, ALL WEATHER LINER PACKAGE Cargo Liner, All Weather Floor Liners. Toyota LE with MIDNIGHT BLACK METALLIC exterior and BLACK interior features a 4 Cylinder Engine with 203 HP at 6600 RPM*. EXPERTS CONCLUDE Great Gas Mileage: 35 MPG Hwy. BUY FROM AN AWARD WINNING DEALER Toyota Santa Monica is just waiting to assist you in any & all of your Toyota needs. Our vehicle model floor is stocked only with the hottest new Toyotas, all available to you for incredibly affordable prices you'll love. We are proud to possess great options for every individual driver and his or her own unique lifestyle. We've got what you're looking for. Horsepower calculations based on trim engine configuration. Fuel economy calculations based on original manufacturer data for trim engine configuration. Please confirm the accuracy of the included equipment by calling us prior to purchase.